Home / Media / Value of Tourism to Oxfordshire Exceeds £2 billion! The newly published Economic Impact Report for Tourism in Oxfordshire, a report commissioned by Experience Oxfordshire, has revealed a positive picture for tourism in 2016, with Oxfordshire welcoming 27.6 million visitors who spent £2.04 billion across the County – an increase of 4.4% and the first time it has reached and exceeded the two-billion-pound mark. The study shows that the visitor economy in Oxfordshire supports 34,856 jobs in the County, a rise of 4.2% compared with the previous year. Further good news is the increase in visitors staying overnight in Oxfordshire, with overnight trips increasing by 3.4% to 2.7 million and the number of nights spent in the County rising by 3.3% to 9.8 million. Further analysis shows that day trips to Oxfordshire increased by 4% to 24.9 million, having remained static in the previous year’s report, with further encouraging data showing day trip spend increasing 7% to £996 million. 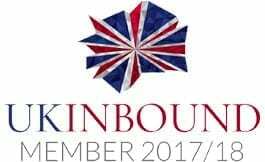 Increased numbers of international visitors continue to visit the County with the report showing a 6.6% increase with a total of 680,000 overseas visitors coming to Oxfordshire in 2016 which spent a total of £327 million – a 1.3% increase compared with 2015. The main reason visitors come to Oxfordshire is for a holiday (53%) followed by 22% visiting friends and relatives; 20% for business visitors; and 5% for other purposes including overseas study visits. The largest proportion of visitor spend was on food and drink (32%), which was closely followed by shopping (23%) and travel (22%) with the remainder being spent on accommodation (13%) and attractions and entertainment (10%). 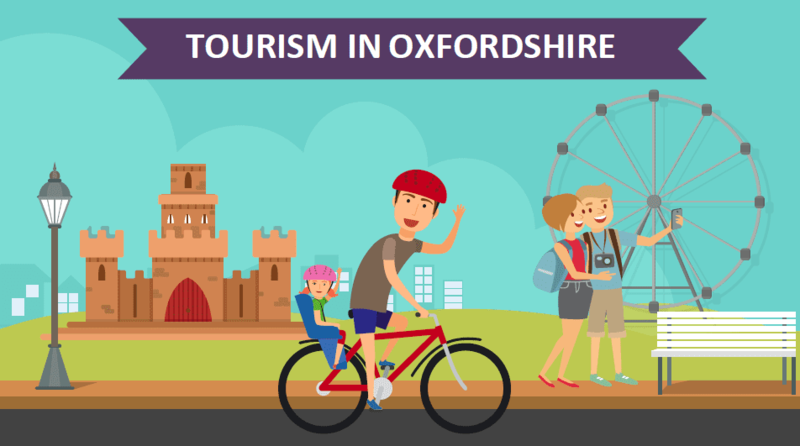 The report shows that Tourism is extremely important across the whole of Oxfordshire with the largest proportion of visitor spend taking place in the City of Oxford (41%) and the largest number of trips taking place in the Cherwell area of North Oxfordshire (26%). “These are a really positive set of results and we are delighted to see the total value of the Oxfordshire Visitor Economy exceed £2 billion for the first time. We are also encouraged by the increase in overseas visitors as part of our strategy is to target more international visitors to the County. We are delighted to see growth continue throughout 2016 and this is even more encouraging for 2017 and beyond given all the investment in product and infrastructure that we have seen across the Oxfordshire this year. Experience Oxfordshire remains committed to working hard to grow and develop Oxfordshire’s visitor economy with our partners and we will continue to monitor trends year on year. This is the third consecutive year of growth in the Visitor Economy and shows just how valuable Tourism is to Oxfordshire”. “These results show very clearly the important economic impact of Oxford’s visitor economy and the continuing growth in numbers. The opening of Westgate and the plans for two new city centre hotels will cater better than ever for our visitors, but we will have to find better ways of handling the increase in the number of coaches and large walking groups. These are the challenges that arise from our success and we are already in discussion with partners about possible solutions”. “The economy in Cherwell district is quite resilient because it is home to 6,500 diverse businesses including those within the tourism sector. Around 7 million trips are made to Cherwell each year, worth around £400 million and employing over 7,000 people. Not only does the visitor economy provide jobs, it also supports extra facilities that are available for local residents to use. As a Council, we see tourism playing an important role across the whole district; ranging from large numbers of visitors to top attractions such as Bicester Village and to our vital town centres, through to smaller scale – but no less important – attractions in the villages such as the splendid Hook Norton Brewery and those alongside the beautiful Oxford canal. The tourism industry is a wealth-creating sector for the UK, helping to rebalance our trade deficit as a nation at such an important time. Locally the Council and Experience Oxfordshire share a mutual interest in developing the visitor economy to attract further investment and visitors. This will add to the vitality of our communities whilst ensuring the protection of the wonderful historic and natural heritage that we all enjoy”.